What does an Outdoor Kitchen really cost? When it comes to how much an outdoor kitchen costs, you can do all the research you want and still come up short. If you’re looking for a down to earth guide that can be used for budget planning, you’ll love this infographic. It’s a simple visual guide that will establish a solid baseline from which you can make cost conscious decisions and plan the perfect outdoor kitchen. Bonus: Check out 10 Tips Before Building an Outdoor Kitchen to avoid costly mistakes. It’ll also give you a great understanding of the pre-planning process and what you can expect. Home advisor has shown that a typical outdoor kitchen costs between $3,044 and 19,022 with an average cost of $10,856. This gives you a rough idea of what you can expect to spend. However, keep in mind that this number changes drastically depending on your location within the country. Plan for the average but adjust accordingly: A good rule of thumb is, if you live in a high cost of living or low cost of living city, adjust the number up or down by 10%-30% to account for the difference. If you’re looking for a different perspective on structuring a budget, you should plan to pay between 2% and 5% of a home’s value for a new outdoor kitchen. We’ve done quite a bit of research and came to the conclusion that this is a great way to form a rough estimate with little to no adjustments necessary. When it comes to choosing, purchasing and installing your outdoor appliances you’ll be looking at right around $2,000 to $5,000 for the lot. There are quite a few appliances to choose from and sometimes selecting the right one can be quite tricky. Built in Grills: These are one of the more expensive pieces of equipment and range between $200 and $4,000 for a high end unit. Keep in mind how many people you plan on entertaining and what your cooking style is before making a decision. 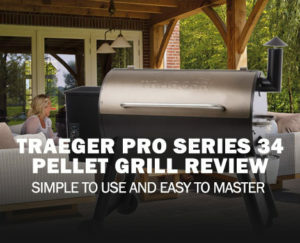 You’ll have a choice of propane grills, charcoal grills, grill smoker combos and a ton of other options, so be sure to do your research! Stainless Steel Sinks: While not a necessity, they will allow you to stay closer to the action and avoid running back inside. 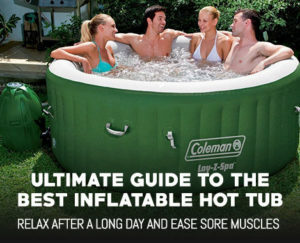 Plus, they are a fairly cheap addition at around $100 to $400, especially if you’ve got water conveniently located. Gas Burners: If you’re looking for a quick way to warm up water, grill some sausages or simply add some versatility to your outdoor kitchen, a gas burner is a great choice. At $350 to $1,000 they are usually cheaper than a full built in grill and are less expensive to install. Most folks however choose to use this as an extra cooking surface in addition to a main grill. 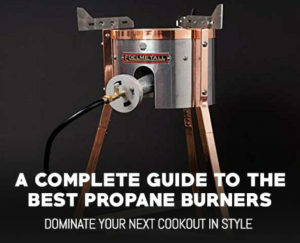 For a more cost effective option you can take a look at some standalone propane gas burners instead. Outdoor Refrigerator: Nothing quite makes a summer BBQ a success as much as cold drinks on a hot day. Outdoor refrigerators are typically the number two item we recommend outfitting your outdoor kitchen with. They are always useful, easy to install and most good models start at a relatively affordable $750. Plus, you’ll be getting compliments from guests left and right. You’ll also find the following luxury appliances make an appearance in many high end outdoor kitchens. With so many options, the size of your kitchen and you budget are the only truly limiting factors. If you’re simply in the market for a good grill and some pre-fabricated counter space, your budget might even be as low as $1,800. While most homeowners are quite handy, it’s a pretty good bet that general construction is something you’ll want to hire out for a project of this scope. That is assuming however you’re not going with prefabricated components or an outdoor kitchen kit. If you elect to hire a contractor, a typical job that includes a built-in grill, refrigerator, counter top and possible a sink or some drawers will cost between $5,000 and $12,000. This is the cost to install everything that you’ve previously bought as well as run any utilities and connect them all up. Again, like many of the other costs we’ve listed, this one can vary widely based on your location, materials and project scope. There’s a good chance that you’ll want to extend your patio a bit to make room for new outdoor appliances. If you’re opting for a typical 6″-8″ deep concrete slab it’ll cost you about $5.20 per square foot. Tip: Take a trip to nearby neighborhoods under development and ask the local contractors doing the work (such as pouring concrete) if they can help you out. Typically you’ll get great prices and they are very efficient. While not required, a covered patio is a great place to construct an outdoor kitchen. Not only does it provide a bit of weather protection, but it help to greatly extend the outdoor grilling season. If you’re planning on getting one constructed, costs range from between $10 to $50 a square foot. This large price difference is mainly due to varying building regulations and materials choice. If you want a nice brick structure with a steeple roof and shingles it’ll cost you a lot more than a simple corrugated aluminum covering on steel pillars. One of the great things about outdoor kitchen is the ability to fully prep, cook and eat a meal outdoors. A sizable counter top is a great way to expand your space and allows for those awesome backyard BBQ’s. However, even the cheapest of counter top needs to be measured, cut and installed by a skilled craftsman. You will however, have multiple choices to select from. We’ve listed the most common options below. Granite: As a kitchen classic, granite comes in a ton of different shapes, sizes and colors to fit every budget. Low end pieces can start at just $45 per square foot while more exotic selections can reach as high as $200. Whichever you end up choosing granite is both incredibly robust and stunningly beautiful, making a great outdoor statement. Poured Concrete: This modern looking material is durable, cheap and looks great. Plus, it’ll only run you around $60-$70 per square foot to have it installed. Once your overall layout has been selected and the location finalized, you’ll need to construct and frame in the outdoor kitchen base. Just like houses can have a variety of different exteriors, so can an outdoor kitchen. There are cheap options like stucco and veneers as well as luxury choices such as brick and natural stone. While they all serve the same purpose of making your kitchen look great, they are vastly different when it comes to pricing. Which you choose is entirely up to you, although we’d suggest you select a matching or complementary look to your main house. One of the most common, and often overlooked, construction tasks is adding an electrical outlet. While it’ll only cost you $400, having one positioned accordingly will make your life a lot easier. Plus it’ll eliminate any messy cords and give your outdoor kitchen that high end, seamless look.